Although I'm normally quite happy to stick with my mainly monochrome wardrobe, I can't resist a super bright dress like this one. Neon clothes probably don't look as good on me as they would on someone with tanned skin but I like to rock them anyway. 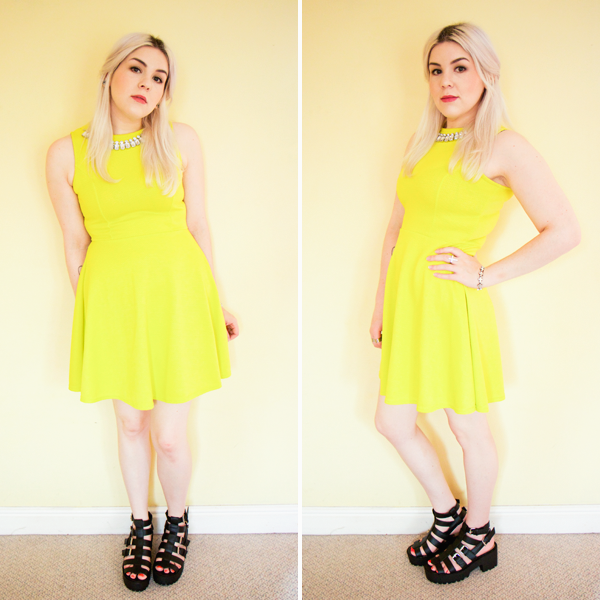 I was sent this amazing lime green skater dress by Red Label. It only costs £15 but it's such good quality and that colour is a real stunner. This dress is really comfy and absolutely perfect for Summer. It's great to wear during the day or on a night out. 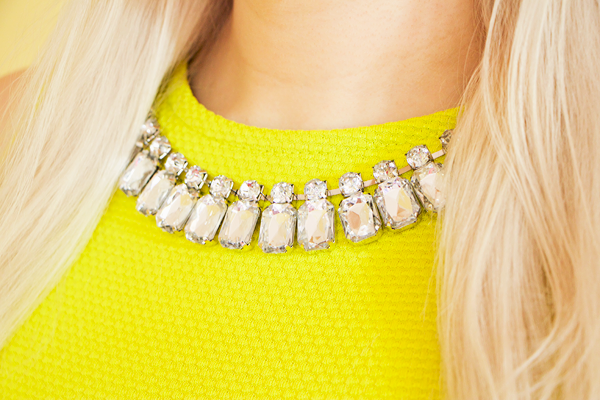 The neck trim is detachable but I kept it on as I think it makes for a gorgeous faux necklace. 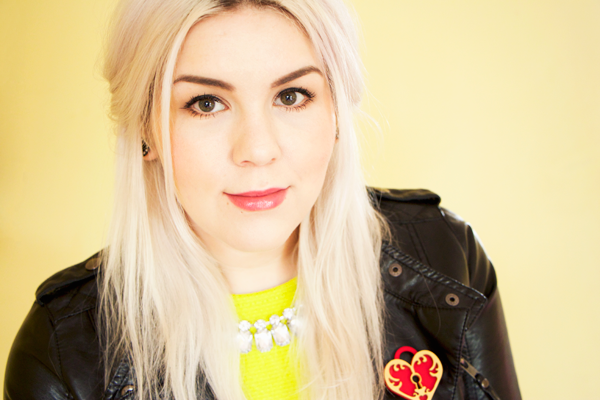 Sometimes I wish I had a proper leather jacket but I'm pretty glad I have my cheapy Primark one at the moment. It's light enough for this weather & makes all my girly dresses look a little more badass. Still loving my gladiator sandals from eBay! They're all I've worn lately as they pretty much go with everything. I wore this outfit when I went out for a meal with my friend last week. I always look forward to finding out which street food carts are setting up shop in the Trinity Leeds Kitchen each month & I really wanted to go to Tacochu. They sell taco rice which fuses together two of my favourite cuisines - Japanese & Mexican. It was so delicious! My roots look really bad here but I've had my hair done since then and it's a lot shorter & pinker toned now. These pictures are making me wish I hadn't cut it but my ends were getting far too ratty. 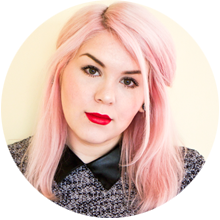 I miss having proper pink hair though so I might get a bit dye happy very soon! As if you were in Leeds, so near yet so far! I think I would probably fangirl if I met you though. You are too pretty! I'm normally too scared to wear yellow being blonde, but you wear it so well. May tempt me into a bit of yellow! 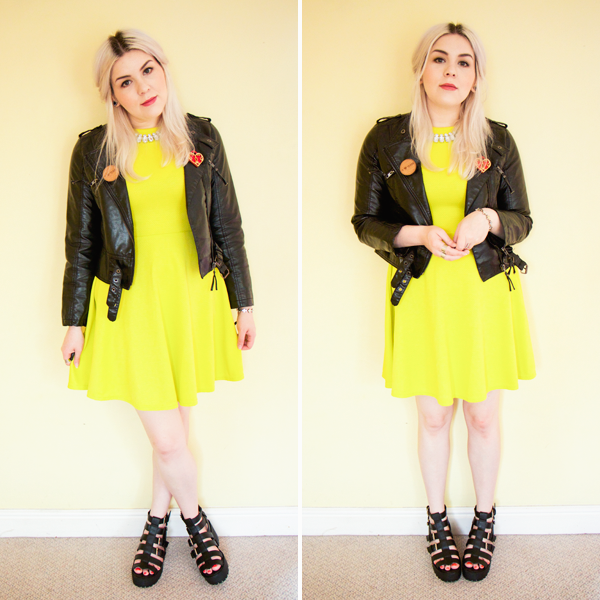 I love the dress, bright colours make me feel to confident when I'm wearing them! Love the outfit!! Dress is stunning.